It’s no secret that there is a ton of plastic in the ocean – millions of tons, in fact. Scientists estimate that there is more 165 million tons of plastics swirling about in our oceans today, with an additional 8.8 million tons flowing in every year. As the oceans swell with plastic debris, many marine species wind up ingesting the stuff – often with dire consequences. All this plastic trash winds up affecting more than just aquatic species, too. According to researchers from the University of Tasmania, a seabird that ingested a single piece of plastic has a 20% chance of mortality. This statistic jumps to 50% if the seabird consumes nine pieces of plastic. 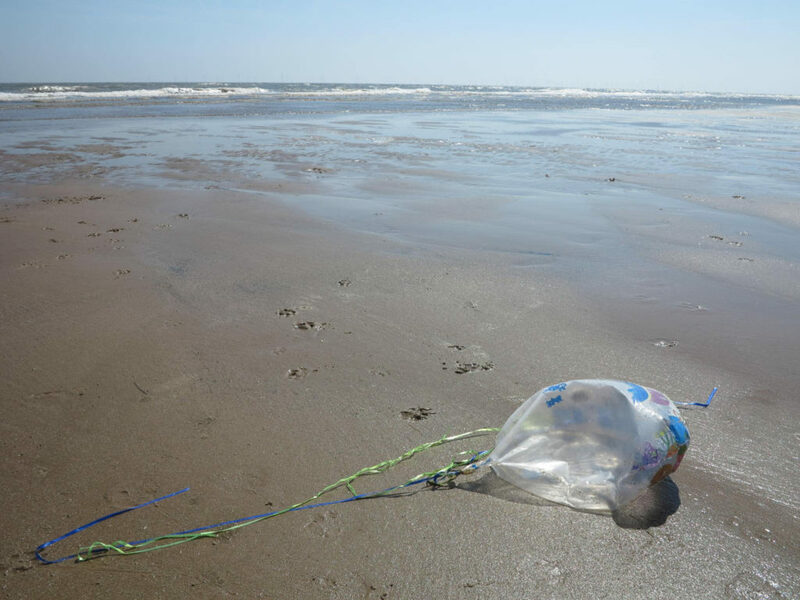 The study, which was recently published in the journal Scientific Reports, also found that while hard plastics account for the majority of plastic debris ingested, it’s far less likely to prove fatal than soft plastics, such as balloons. In fact, the researchers found that balloons or balloon fragments were the number one marine debris risk of mortality for seabirds, killing almost one in five of the seabirds that ingested them. The leading cause of death among the seabirds studied was blockage of the gastrointestinal tract. While soft plastics only accounted for 5% of the ingested plastics, they were responsible for more than 40% of seabird mortality. But the researchers make clear that hard plastics were still responsible for more than half of the study’s seabird deaths. If we want to reduce the number of marine species dying from plastic ingestion, we need to reduce the volume of plastic going into the ocean and do what we can to remove what’s already there. Photo, posted July 24, 2014, courtesy of Flickr.